Most played CD on your iPod: Currently, its Tom Kitt and Brian Yorkeys NEXT TO NORMAL. If you could be any character from an R&H show, who would you be and why? Prince Chulalongkorn. Because I like fireworks and boat races. Favorite show(s) you've performed in: ONCE UPON A MATTRESS (King Sextimus) and DAMN YANKEES (ball player) in high school. 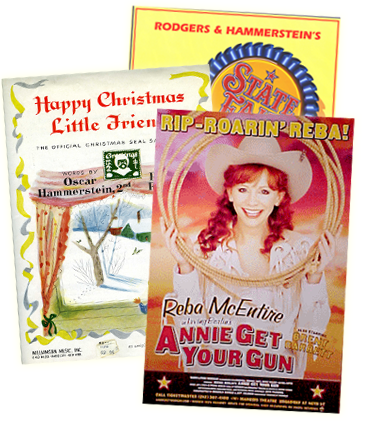 Favorite things about working at R&H: Working with the writers of todays greatest musicals to get materials ready for licensing. Do you have more blue or black pens at your desk? Blue? Something all customers should know (about you): I went to college to study physics and astronomy but quickly switched my major to music. In 2007 I received an MFA from NYU Tisch Graduate Musical Theatre Writing Program. 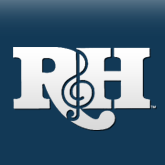 As a composer/lyricist, I try to do my best to make R&H a great place for all musical theatre writers. Complete this sentence: "A day at R&H isn't complete without" Bert Finks puns.